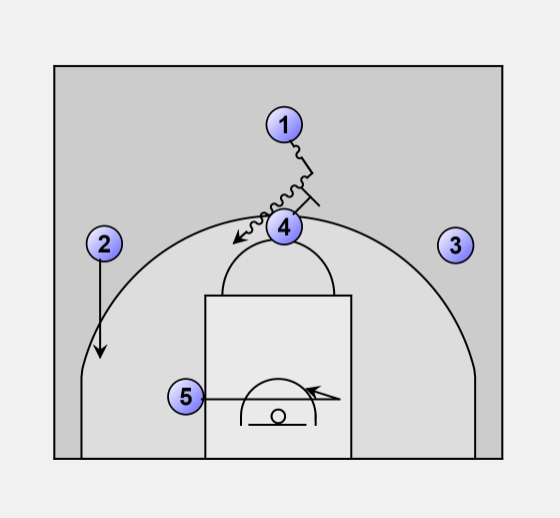 4 sets high ball screen for the 1 (it is ok for this to be high). 1. The 1 can drive for layup if not stopped. 2. If 4's defender goes with 1, 4 has free throw or rolls to the basket. 3. 5 takes his man out of the play and V-cuts him for an isolated post up on other block. 4. Kick out to 2 (or 3 if run to the other side) for a shot if 2's/3's defender helps out on 1. It is critical for 2/3 to move down with the 1, but not into 1, all while having their feet ready for a quick shot. 5. Reset and go the other way if doesn't work. 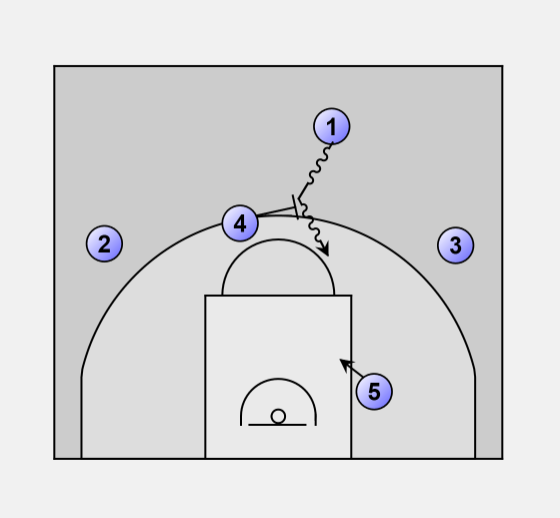 After running LA a time or two, 5's defender will start to get the idea 5 is cutting across the lane to post up as 4 screens. Instead of 1 using the pick, he crosses over and 5 post up hard.